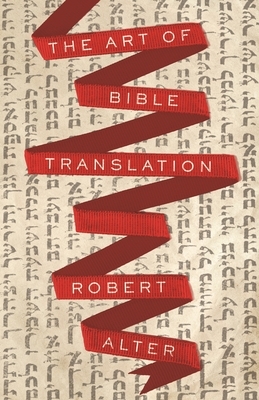 In this brief book, award-winning biblical translator and acclaimed literary critic Robert Alter offers a personal and passionate account of what he learned about the art of Bible translation over the two decades he spent completing his own English version of the Hebrew Bible. Alter's literary training gave him the advantage of seeing that a translation of the Bible can convey the text's meaning only by trying to capture the powerful and subtle literary style of the biblical Hebrew, something the modern English versions don't do justice to. The Bible's style, Alter writes, "is not some sort of aesthetic embellishment of the 'message' of Scripture but the vital medium through which the biblical vision of God, human nature, history, politics, society, and moral value is conveyed." And, as the translators of the King James Version knew, the authority of the Bible is inseparable from its literary authority. For these reasons, the Bible can be brought to life in English only by re-creating its literary virtuosity, and Alter discusses the principal aspects of style in the Hebrew Bible that any translator should try to reproduce: word choice, syntax, word play and sound play, rhythm, and dialogue. In the process, he provides an illuminating and accessible introduction to biblical style that also offers insights about the art of translation far beyond the Bible. Robert Alter is professor of the Graduate School and emeritus professor of Hebrew and comparative literature at the University of California, Berkeley. He is the author of more than two dozen books, including The Hebrew Bible: A Translation with Commentary (Norton). He is the recipient of the Robert Kirsch Award for Lifetime Contribution to American Letters, among other awards, and lives in Berkeley, California.